I lost the one person who gave my life meaning and purpose. My love. My soul. My only reason for breathing. Unwilling to bury her memory, my heart turned reckless and my soul darkened. Then she walked into my life. It was only supposed to be a moment. A moment where I could get lost in someone else and forget my pain. In that one moment, she saved me from the memories that found me in the dark. She tore my world apart. Wrecked me. And with one kiss, she changed everything. Her love became my dark paradise. 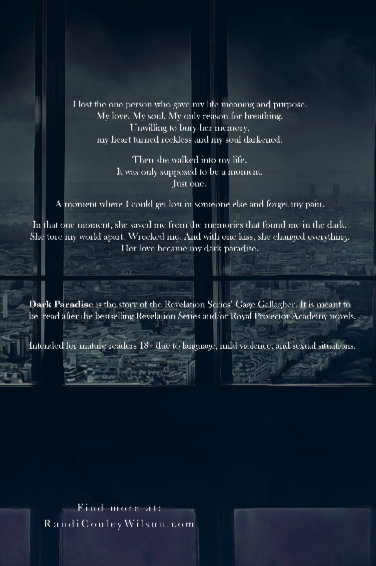 Dark Paradiseis the story of the Revelation Series’ Gage Gallagher. 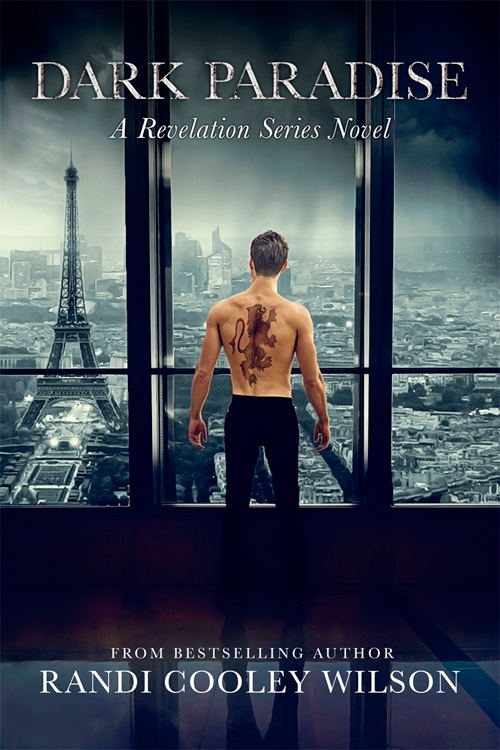 It is meant to be read after the bestselling Revelation Series and/or Royal Protector Academy novels. Intended for mature readers.